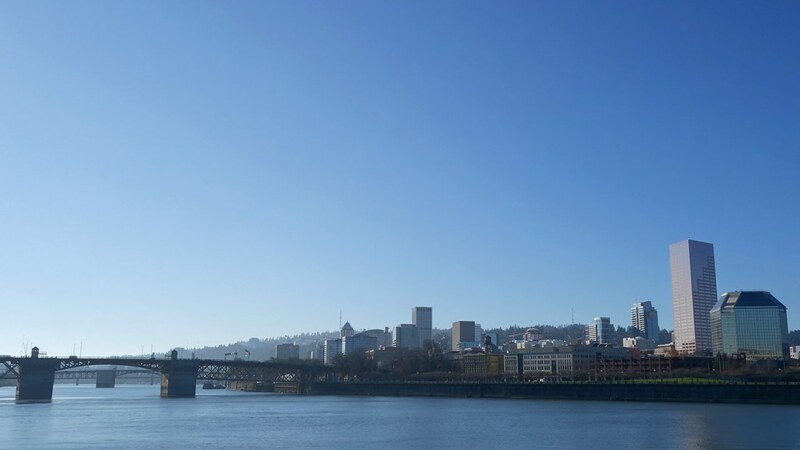 An obligatory skyline shot of Portland. The weather is brisk and breezy along the water … and that soft mid-morning December sun! Taken earlier this week from the east side of the Willamette River, just a few steps south of the Steel Bridge.